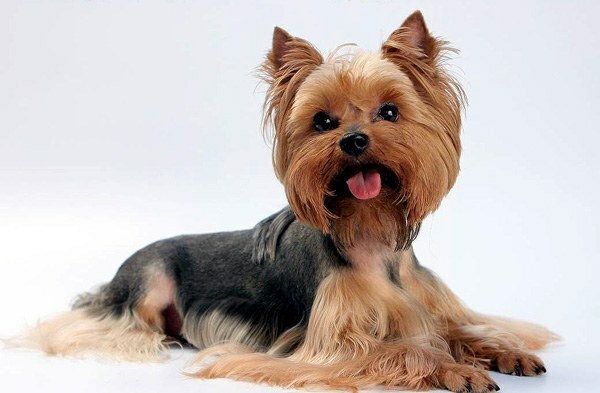 Charming Yorkshire Terriers are great companion dogs. They differ cheerful, balanced character, good health and charming looks. Make your pet grew up exactly correctly select a puppy - a quality adult dog still laid in early childhood. Planning to buy a puppy, contact a dog training organization, dedicated to the breeding of Yorkshire Terriers. You will be advised of suitable breeders willing to provide puppies for sale. This is especially important if you plan to show your future dog or use it for breeding. Deciding to buy a puppy, be especially careful. If you are offered "miniYorkies", don't be offended - this breed does not exist, and normal puppies York, looking too small can be unhealthy. Rate the parents of the puppies. The breeder should provide you with pedigree dogs and pictures of their ancestors. Note that in nurseries are grown Pets with certain breed characteristics. For example, some breeders prefer dogs with long and smooth hair, while others derive more short-haired and fluffy puppies. Decide in advance what kind of puppy you want. For breeding select larger dogs in the future they will give the most viable and strong offspring. For exhibitions is a very important color, size and shape of the ears and their correct formulation. Do not buy puppies with severe defects - too rough coat, drooping ears and a soft white spots on the skin. If you want to buy a pet for the soul, be guided by your own taste. Tell the breeder - it will help you to choose the right puppy. Please note that Pets pet-class are much cheaper. When choosing a puppy, check out his appearance. Healthy animal is active, it is curious, friendly and is configured to communicate. Eyes healthy animal, shiny, hair shiny, it emits a pleasant, mild puppy smell. The skin should be free of bald spots or dandruff. Lift the tail and check underneath signs of diarrhea. Look in the puppy's ears - they should not be dark crusts or secretions. Correctly assess the nature of the puppy. If you are interested in a lively and cheerful dog, choose the most active from the litter. If you want to have an affectionate and obedient pet, and prefer a more relaxed - it will be easier to give training, showing striking leadership qualities.